About Ellis Ladder Improvements, Inc.
Ellis Fall Safety Solutions LLC offers comprehensive fall safety solutions for companies in Kansas, MO and the surrounding areas. We have a fully trained staff of fall protection engineering, safety, and training professionals who can help you seamlessly meet your goals. Our services are available for a variety of different industries including automotive, construction, flight, engineering, and more. We can assist you with building design and fall protection systems, ensuring safety measures are in place at all times. Our services include consulting, fall protection engineering, fall safety training, building design and fall protection systems. 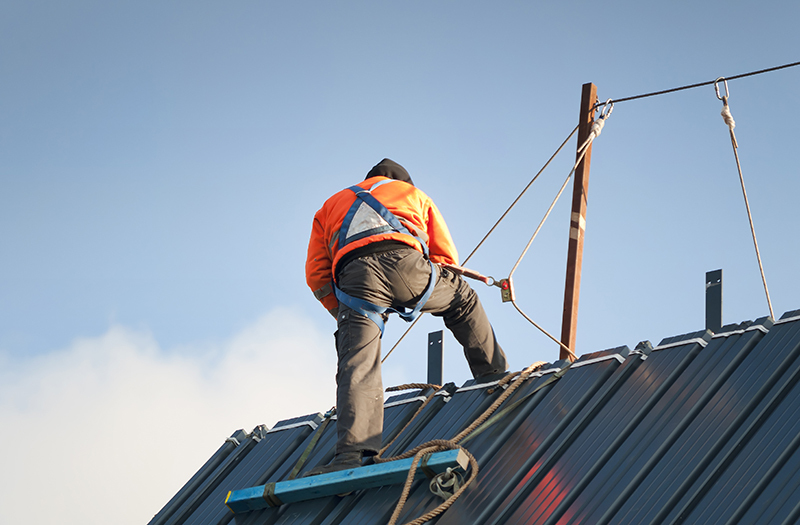 We provide OSHA fall protection assessment ensuring that your company is fully OSHA compliant. We can easily uncover any areas that need adjustment while identifying any potential safety hazards. We strive to assist your business in remaining in line with standard OSHA regulations and protocols. Ellis Fall Safety Solutions offers customized fall safety solutions tailored to the needs of your company. Our services include consulting, fall protection engineering, fall safety training, building design, and fall protection systems. We can help you enact new protocols for increased safety and fall risk reduction. Ellis Fall Safety Solutions also designs horizontal lifeline (HLL) solutions and rigid rail systems. Our experienced team installs airplane hangars, rooftop access protection, and protection system design and development. Contact EFSS for more information about our services by calling us at 1(800) 372-7775 or contact us locally at (302) 300-1631 today. We look forward to providing for all of your fall safety training and system design needs in Kansas City, MO. At Ellis Fall Safety Solutions, keeping you safe is our number one priority. Do you have questions about Ellis Fall Safety Solutions? Please complete the form below, and a team member will reach out to you. Click here for webinar details, and to signup. Health and Environmental Training and the ANSI Z359 Fall Protection Code.